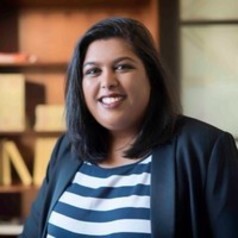 Safura Abdool Karim is a researcher at PRICELESS SA (Priority Cost Effective Lessons for Systems Strengthening) a Research Unit based at the Wits School of Public Health. Her work focuses on prevention and control of non-communicable diseases through the use of legal and policy mechanisms as well as using the law to improve health outcomes more broadly. Safura completed an LLB at the University of Cape Town and thereafter an LLM in Global Health Law at Georgetown University. She is currently pursuing her PhD in Law at the University of KwaZulu-Natal on constitutional rights and non-communicable diseases. Prior to joining PRICELESS SA, Safura had practiced corporate law, worked on plain packaging and advertising laws for tobacco control and was a clerk to Justice Leona Theron at the Constitutional Court of South Africa.